Our maids are thorough and diligent, providing a high quality clean on every visit. No contract required. Choose an option that best fits your needs: We offer a weekly, bi-weekly, three-week or monthly cleaning depending on your preference. Call Granny G’s anytime you need us, even if you’re not on schedule! When the holidays come around, let us do the cleaning so you don’t have to. We accept calls during Christmas, Thanksgiving, New Year’s, Easter, and Mother’s Day holidays. 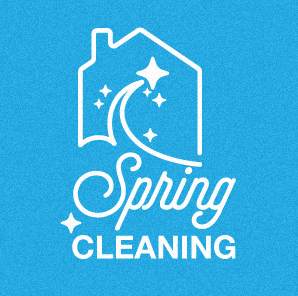 Granny G's Cleaning Service provides high-quality residential house cleaning, commercial cleaning, move-in/move-out, spring cleaning, housekeeping, and maid services in the South East Bay Area of Houston, Texas & surrounding communities. Give us a call today for a free quote: (281) 481-0021. We service Shore Acres, La Porte, Deer Park, Pasadena, Pearland, Friendswood, Clear Lake, Seabrook, Kemah, Taylor Lake Village, El Lago, Nassau Bay, Tiki Island, and Galveston. If you are not satisfied for any reason, we’ll do whatever it takes to make you happy. Your satisfaction means everything to our business and our family. Surprise someone special in your life. 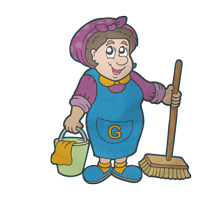 Send them a Granny G’s Cleaning Service gift certificate—the perfect gift for a friend or loved one! Copyright © 2016 Granny G’s Cleaning Service, LLC. A fully licensed, bonded and insured company. 15255 Gulf Freeway, Ste. 184B • Houston, TX 77034 • (281) 481-0021 • All rights reserved.